The ‘ghostly’ image of Gambier Street wet market before its demolition. Now the area is a carpark and an extended section of Kuching Waterfront. The Gambier Street market was a bustling place back in its heyday. These old shophouses along Jalan Padungan are now gone, replaced with a budget hotel. Nowadays, the site where Kuching Central Prison used to be looks nowhere near as that depicted on this very old, black-and-white-photo. 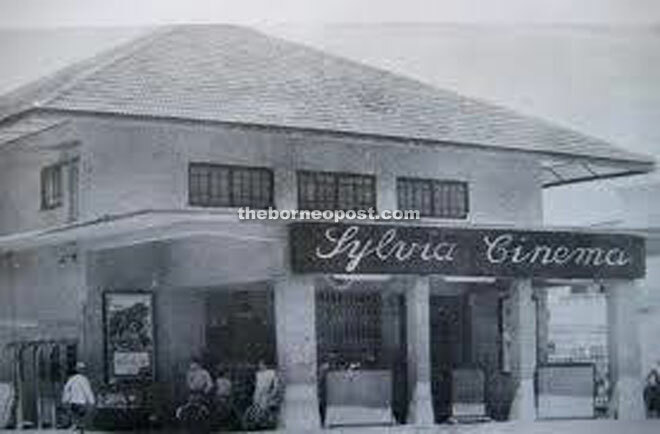 The Sylvia Cinema used to be on the site where the Yayasan Sarawak building stands today. Old government quarters, like this one along Jalan Bamfylde, are nothing but dilapidated structures. THE process of preserving Sarawak’s culture may face certain obstacles, but through social environmental impact assessments, such challenges can be addressed especially before any implementation of large-scale development projects. Social Development Minister Tan Sri William Mawan, in the State Legislative Assembly (DUN) sitting in Kuching last December, stated that Sarawak Museum would remain focused on its core research and documentation on the state’s ‘endangered’ historical and cultural heritage sites in Sarawak River Delta, Niah Caves and the highlands in north-eastern Sarawak. Mawan added that the state would continue to engage local communities, particularly school students, in heritage activities; and continue to identify, document and prepare conservation management plans to protect the state’s old buildings, artefacts and historical sites in recognising their significant heritage value. However, there seems to be a lack of personal desire to keep and preserve the ownership of old buildings as there is a rise in property value. Many have decided on selling their properties in the hunt for windfalls; instead of passing them on as heirloom treasures to the next generation — a classic battle of commerce versus heritage. It is the same case with Sarawak’s heritage policy, which is imposed and not out of own desire or will to retain these invaluable treasure. 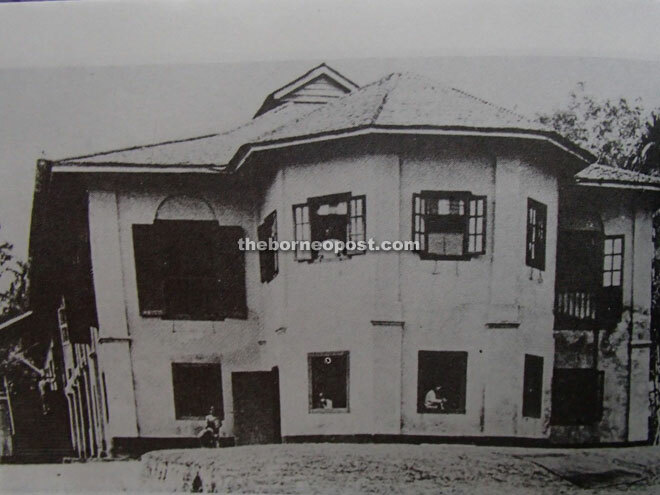 According to former Sarawak Heritage Society president Karen Shepherd, unlike other countries, Sarawak does not have a dedicated committee or council that cares for heritage buildings — noting that only Sarawak Museum Department is currently in charge of such matter. Several key projects, however, did take off — the Old Courthouse complex, Fort Margherita, Square Tower, Chinese History Museum (all in Kuching) and Fort Alice in Sri Aman. There has also been a renaissance in conversion of old houses and shophouses being turned into trendy bars and bistros — the colonial Courthouse Complex and Square Tower near Kuching Waterfront have become both becoming eateries. Still, the identification process is piecemeal — project-by-project basis. “There is very little management when it comes to heritage properties,” Shepherd said. Upcoming projects are Sarawak Museum and other old forts, while the key sites to consider are Banglo Segu, Main Bazaar, Carpenter Street, Jalan Padungan, the Malay ‘kampungs’ (villages) and traditional longhouses. 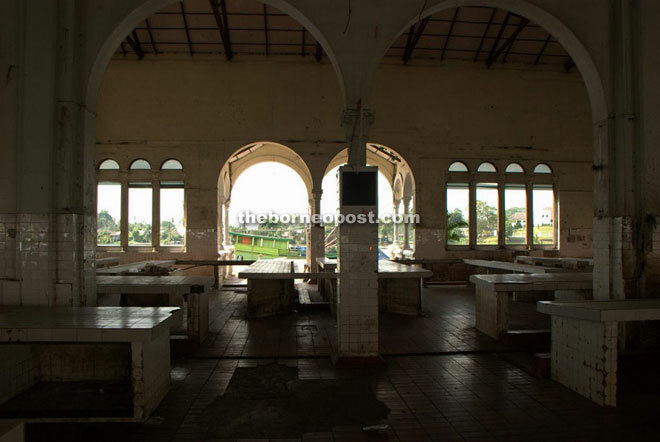 Unfortunately, there were ‘horrifying’ losses that could never be revived — the old government houses at Jalan Bamfylde, Jalan Maxwell, Jalan Batu Lintang and Jalan Ong Tiang Swee; the old Kuching Central Prison; and the Summerhouse on Sarawak Museum’s grounds. “The state government must set the example for the people to follow. They must establish a heritage zone, like what Penang has done — ideally with a buffer zone around it. Any public or private development within that area must be managed by a heritage body, which will balance heritage concerns with those commercial in nature, in a coordinated multi-stakeholder approach. Without this, commerce will forever dominate over heritage, leaving the latter to pass into history forever. “No tourist travels thousands of miles to see a globalised version of what they have at home — faceless, international shopping centres with international brands everywhere. “The tourists are here to see what makes us special — the orange apes, great caves, home of the White Rajahs in a time past, the vestige of the headhunters’ days, Chinese shophouses, rushing rivers and rapids, or Indian spice shops. “But before the tourists could appreciate this, we must appreciate it first and present it with pride. We must preserve it with care. After all, our heritage is our story, not theirs (tourists),” Shepherd said. In response to Shepherd, Liwan Lagang in his capacity as Assistant Minister of Culture and Heritage recently said even though there’s no new policy on heritage buildings, the matter remained enshrined under Sarawak Cultural Heritage Ordinance 1993 — in that Sarawak Museum under Part V 20 (1) is empowered to compile a register of buildings which are built before 1940 and are of such historical significance to warrant their preservation; or are of special architectural, artistic or cultural interest or beauty; or are closely associated or connected to the history of the state; and those opined by the (museum) director ought to be retained as a cultural heritage for the benefit of the people. The museum, with the approval of the state government, would then publish on the gazette a schedule of historical and historical sites (Part V 21 (1), said Liwan. “After having been given a preservation notice, the owner of the building or site shall not be allowed to demolish, dismantle, alter, deface or interfere with it, except in accordance with a permit granted by the director. Thus, any renovation works on the building or site should be referred first to the museum for written approval,” he stressed. Kuching city is changing at a rapid pace, which is a testament to the ever-changing nature any urban centre, but as with many things, each gain comes with a loss — the effect of which sometimes not fully felt till generations later. She pointed out that Singapore once faced a similar problem. In the drive towards modernisation throughout the 1980s, republic’s authorities and developers cleared untold numbers of heritage shophouses to make way for high-risers. They did not realise the ‘heritage sacrifice’ that they did until they suddenly realised that the tourists had stopped coming. Now Singapore makes heritage preservation a priority that stands just as crucial as modernisation. What befell Singapore in the past is where Kuching and, to a lesser extent, the rest of Sarawak might be heading to one day — if it has not already. No more could we see the Gambier Street market; the city prison demolished; the temples in and around Carpenter Street have all undergone facelifts that conceal their original features; the site where the Treasury Building once stood is now under Plaza Merdeka; the three wonderful heritage shophouses along Jalan Padungan demolished to make way for a multi-storey building — all these happening over the past decade. Prior to that, the Sylvia Cinema became Yayasan Sarawak building, and Aurora Hotel became Merdeka Palace Hotel and Suites. “I just got back from Singapore and they did very well. The old shophouses have been restored and are being used just as what they were originally built for — as shophouses. 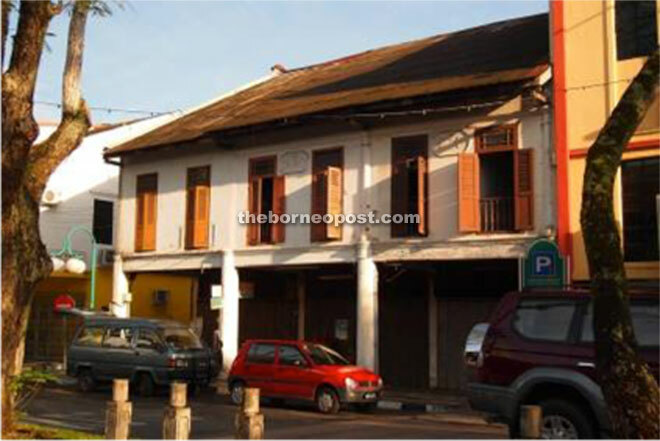 “But in Kuching, the heritage buildings — if handed over to Sarawak Museum Department — would be converted into museums. At this rate, there would be too many museums in Sarawak in the near future. “We need to turn these old buildings into adaptive reuse, restoring and putting them into use while keeping them well-maintained,” Shepherd said.